Magico Constructions specialises in the building/construction, and project management of architecturally designed residential homes, multi-residential projects, boutique developments and commercial premises across Sydney. We have extensive experience working with architects and property developers to deliver high-quality end results on a range of different scales from large multi-dwelling projects to one-off commercial fit-outs. 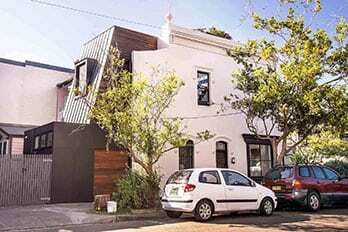 Magico Constructions has extensive experience working with architects to construct and renovate luxury houses in some of Sydney’s most exclusive suburbs. We offer the highest level of craftsmanship, and only employ those who are courteous, and have a high level of customer service. We have worked on both boutique residential apartments and on large, multi-building constructions of up to 430 apartments as part of the property developers’ construction teams. Over the years we have worked on several commercial projects in Sydney. Unlike many other builders, we have experience working under the extra restrictions that apply to commercial projects. When it comes to commercial projects, we are passionate in helping our clients achieve high-quality results that reflect our clients’ company image. In addition to office fit-outs and renovations, we have worked on a diverse range of projects including aged-care facilities and retail stores for major Sydney shopping centres. We have the expertise to manage any project from start to finish including those in need of conflict resolution expertise, or those that are experiencing delays or budget blowouts due to construction issues.